In late September 1965, Chief Geologist William T. Pecora succeeded Thomas B. Nolan as Director. For several years, he investigated strategic-mineral deposits in the United States and Latin America and then engaged in a long-range study of rare mineral deposits in volcanic rocks and carbonatite complexes in Montana. Pecora, who received his bachelor's degree from Princeton in 1933 and his doctorate from Harvard in 1940, joined the Geological Survey in 1939. For several years, he investigated strategic-mineral deposits in the United States and Latin America and then engaged in a long-range study of rare mineral deposits in volcanic rocks and carbonatite complexes in Montana. He was elected to the National Academy of Sciences in 1965. He had also had administrative experience as Chairman of the Civil Service Board of Examiners and Chief of the Geochemistry and Petrology Branch before becoming Chief Geologist. Pecora was Director for only a few years; in April 1971, he left the Geological Survey to become Under Secretary of the Interior. The late 1960's were troubled times in the United States, marked by student unrest, racial demonstrations, racial violence, and increasing opposition to the war in Vietnam. Survey appropriations were not decreased, but the rate of increase was considerably less than it had been. Pecora's administration became an interesting blend of old and new problems and solutions. The Geological Survey had been established in an era of monetary uncertainty, in its first year it had concentrated on a study of some of the great precious-metal mining districts, and it had responded to other monetary crises in the 1890's and 1930's. In 1965, the U.S. gold stock, which had been steadily declining since 1949 despite government efforts to stem the deficit in balance of payments, was a matter of concern. In April 1966, the Geological Survey and the Bureau of Mines began a joint program to stimulate domestic production of a group of metals that were in short supply, about 90 percent of the program effort at the start being on gold because of its international monetary importance. On the basis of the Geological Survey mapping, a mining company located by drilling a major gold mine, the first major gold discovery for several decades. Another major project in the Survey's first year had been a study of the iron-ore resources of the United States. In the early 1900's, it had begun studies of western iron ores in an effort to meet industrial demands. After World Wars I and II there had been major studies of iron districts, and in the late 1960's, appraisals of the iron-ore resources of the United States were again prepared, this time for inclusion in a United Nations survey of the world's iron-ore resources. Sixty years earlier, the Geological Survey had made its first appraisal of the petroleum resources of the Nation. Periods of oil shortages and oil gluts had followed, but World War II had seriously depleted domestic petroleum resources. The continuing concern over energy resources gave rise to a study of world resources of oil, gas, natural-gas liquids, oil shale, and coal. In the ongoing search for domestic resources, new sources were discovered, but their exploitation was not simple. In 1968, for example, a giant oil field was found in Alaska's Arctic Slope, near where the Survey had first made reconnaissance studies in 1923. The oil would help ease impending shortages but transportation of that oil, whether by tanker or pipeline, posed the possibility of damage to the environment. More than 100 billion tons of coal were estimated to be potentially recoverable by open-pit mining techniques, but plans had to be developed to restore and utilize the strip-mined lands. About 1.8 million acres of land in the Western States were classified as potential sources of geothermal energy, but a new industry would be required to exploit them. At the same time, new studies and investigations in space, under the sea, and on land were expanded. The space program was centered in the Astrogeologic Laboratory established in October 1965 in Flagstaff, Arizona. In July 1969, two astronauts, trained by the Survey, walked on the Moon as the program called for by President Kennedy in 1961 met his objective of landing men on the Moon before the end of the decade. A Survey geologist turned astronaut also walked on the Moon in one of the later missions. Director Pecora took a personal interest in a program aimed at gathering facts about the Earth's resources from orbiting satellites carrying sophisticated remote-sensing instruments, and the Geological Survey was given direction and management of an Interior Department program to achieve this goal. The marine program led to a report on resources of the sea beyond the Continental Shelf, summarizing the potential and known mineral resources and the technology for their exploration and exploitation, presented to the U.S. Economic and Social Council in 1968. In January 1969, as the Nixon administration took office, oil leaking from a well on a Federal Outer Continental Shelf lease in the Santa Barbara Channel off California blackened nearby beaches and threatened marine life. Studies by a task force including Survey geologists and engineers led to new and more stringent operating regulations to prevent or control such incidents in the future. The Santa Barbara oil spill was a catalyst in the passage of the National Environmental Protection Act in January 1970. 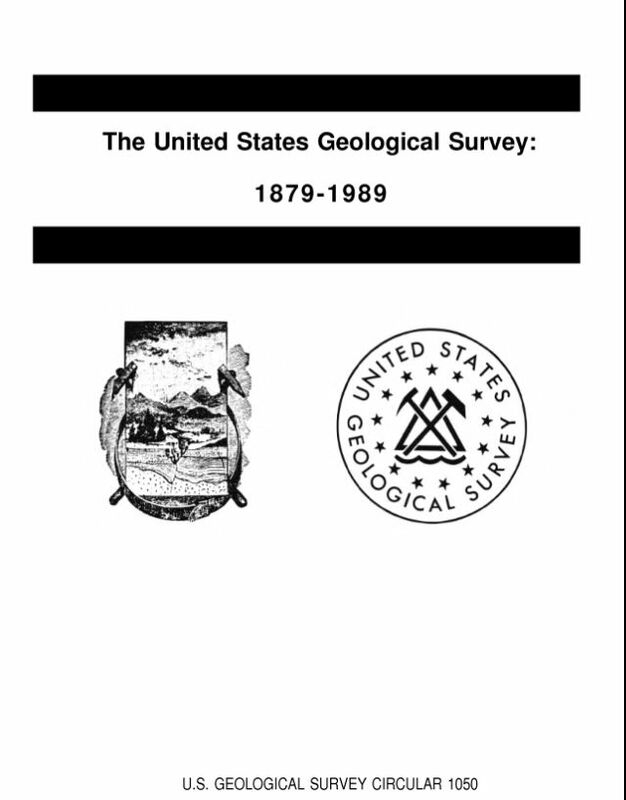 In 1970, the Geological Survey published the "National Atlas of the United States of America," a reference tool comprising more than 700 physical, historical, economic, sociocultural, and administrative maps compiled through the combined efforts of more than 80 Federal agencies and a score of specialists and consultants over a period of several years. In cooperation with the Department of Housing and Urban Development, the Survey began a pilot study in the San Francisco Bay region of the application of geology, geophysics, hydrology, and topography in improving regional urban planning and decisionmaking. The Survey also played a major role in representing the United States at meetings of the United Nations Committee on the Peaceful Uses of the Seabeds and Ocean Floors Beyond the Limits of National Jurisdiction.